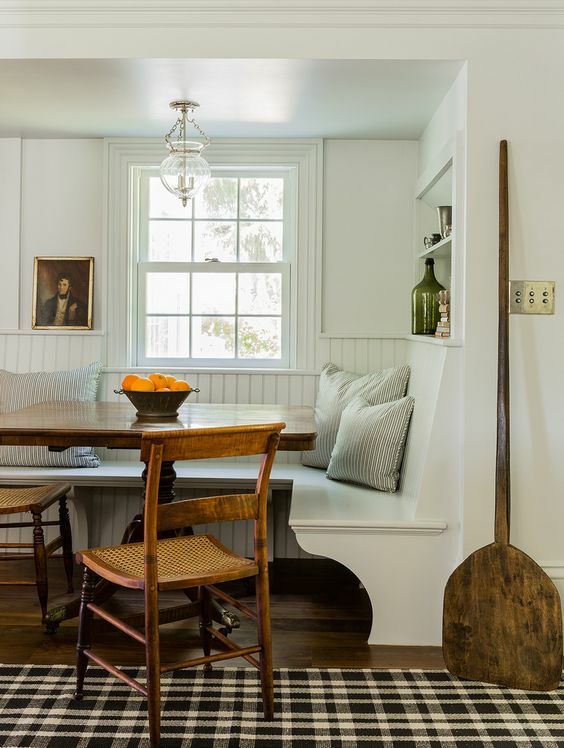 I love a little kitchen nook with a cozy banquette! 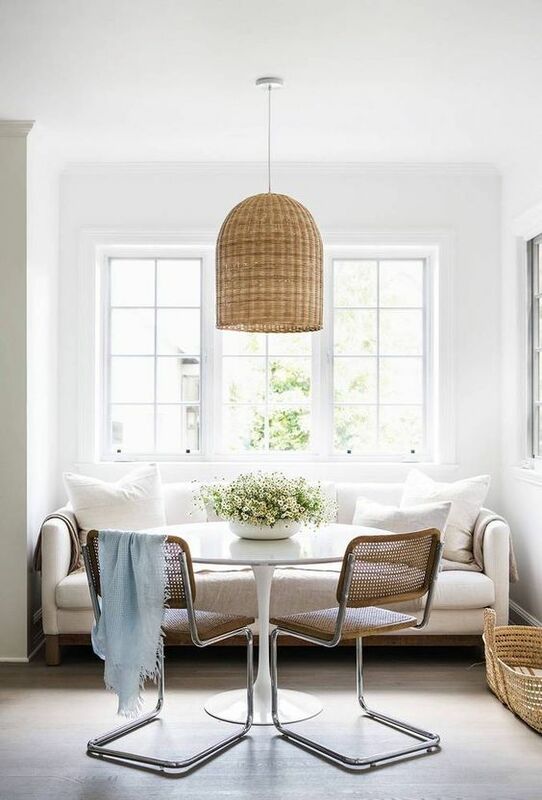 One of our clients is thinking about adding one to her home and I couldn't be more excited about it. 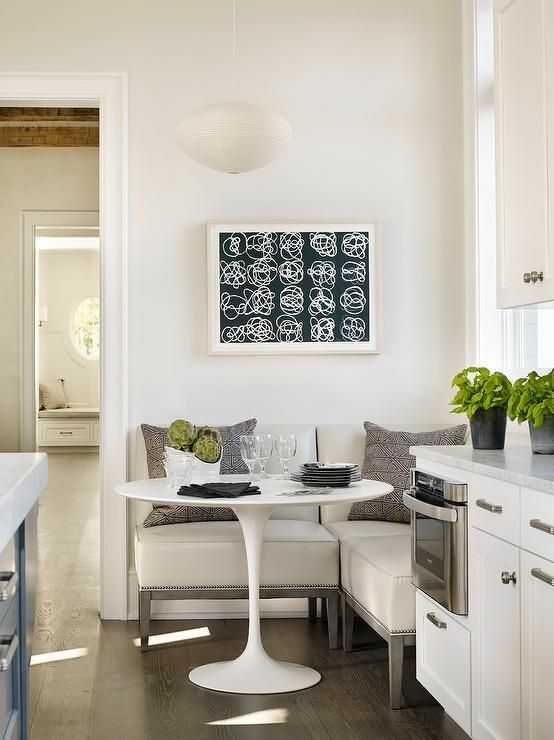 It creates a completely different vibe for a space that you just can't get with your typical table and chairs. 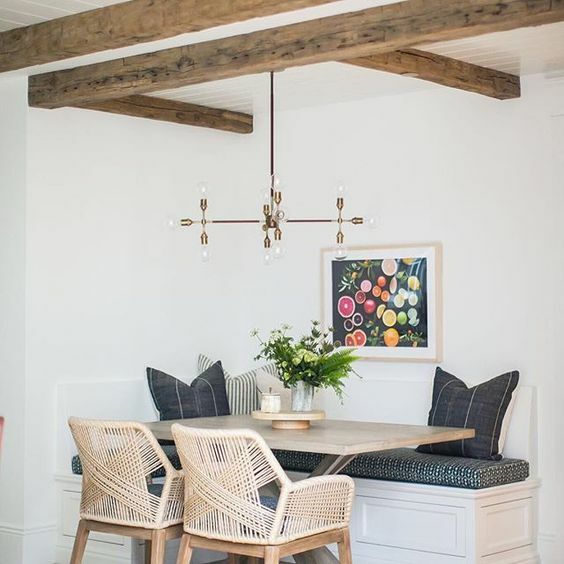 With that said, you can create the same feel by using a small settee if installing a built-in bench isn't an option for you. 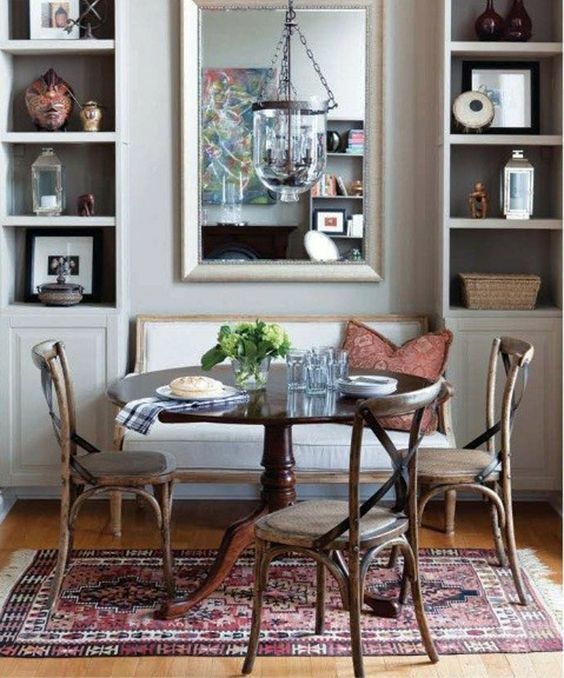 Another great perk to having a banquette is the extra storage space it will give you. Our client's house is definitely lacking in that department, so we will be giving them as much extra storage space as we possibly can. 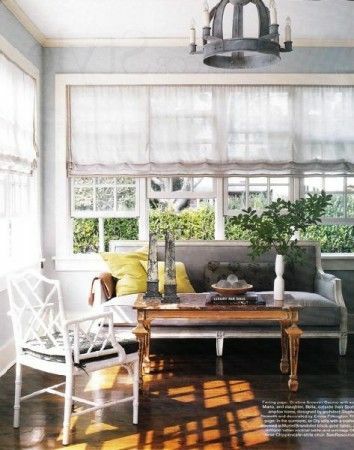 Check out some pretty little nooks below!